We are involved in offering a comprehensive range of Stainless Steel Gratings. All our gratings are manufactured to customer specifications using the finest raw materials. 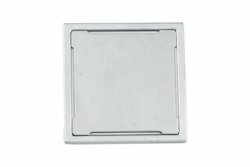 Our Stainless Steel Gratings are recognized for their quality and uniqueness. 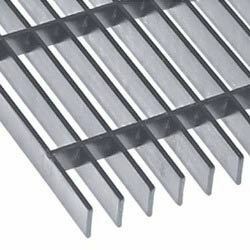 The application of these Stainless Steel Gratings has targeted many food processing industries, pumping stations, meat packing plants and bottling plants nationwide. Meshes:30/30, 30/11, 20/20, 23/23, 30/60, 40/40, 15/46, 15/96, 32/29, 32/46, 32/96 mm. All meshes can be produced in serrated surface design. Bearing bar dimensions:20/2, 25/2, 30/2, 40/2, 50/2, 20/3, 25/3,30/3, 40/3, 50/3 mm. Surface treatments:Raw (untreated),pickled, electro polished, or blasting with sand or glass pearls. 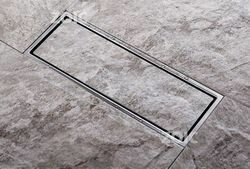 Looking for Stainless Steel Gratings ?